Finishing: Brass, Zinc, Nickle etc.. These are manufactured under strict quality control and can be manufactured as per customer specifications. 1. Threads - ISO Metric (MM Threads), BA, BSW (Inches), UNC, UNF, BSP, NPT, Any Thread as per Customer Design. 2. Size - 1/2" x 3/8". 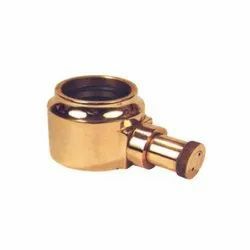 Offering a wide assortment of Brass Adaptor, this is manufactured using best quality material. The offered Brass Adaptor is easy to use in various suitable applications. This Brass Adaptor is tested for its quality in various parameters for their quality before final dispatch to the market. 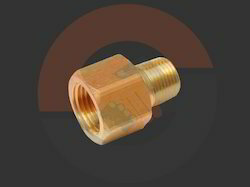 Specifications:Size:20 mm to 63 mm (Metric Size) 1/2 " TO 2" (Imperial Size ) Available With Male Female Thread.Finish:Brass adaptors can also be plated with nickel.Application:Brass Adaptors are quite easy to fix at various dimension of Connectors depending the load that the cable bears. We are specialized in offering our clients a huge range of Brass Male Adaptors. Our company is a very well renowned name of the industry for providing a high quality range of Brass Male Adaptors to our shoppers. These are widely used in numerous sectors.